Students coming in to the framework of Erasmus+, a bilateral agreement, or an international project like Erasmus Mundus, Ciencia Sem Fronteiras, Coimbra SEN, ect must refer to the Welcome Office for all issues related to their study period at UNISI. 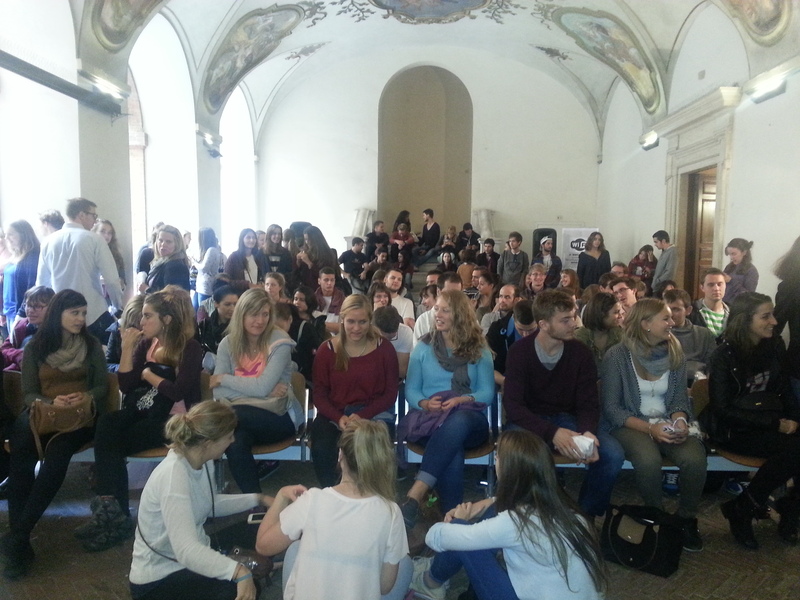 Welcome to the University of Siena! Get ready for Welcome Days. The event allows exchange students to receive useful information about academic life, visit the university and the city, get to know the main university facilities and meet other students from different nationalities. Your participation is strongly recommended! 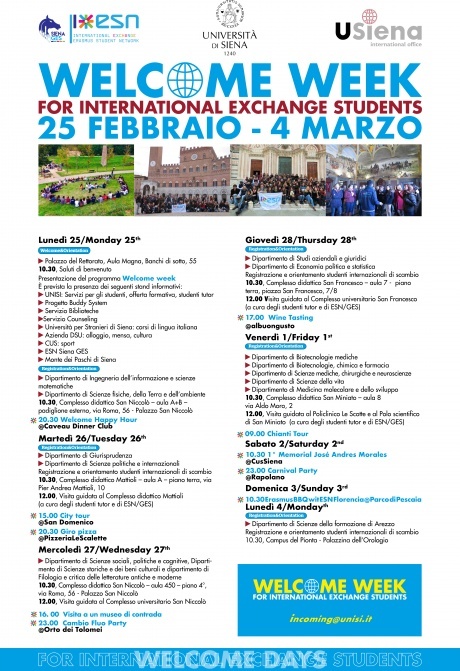 Registration and Orientation meetings for exchange students will take place during the Welcome Week in the different departments of the University of Siena. Registration is compulsory for all exchange students. 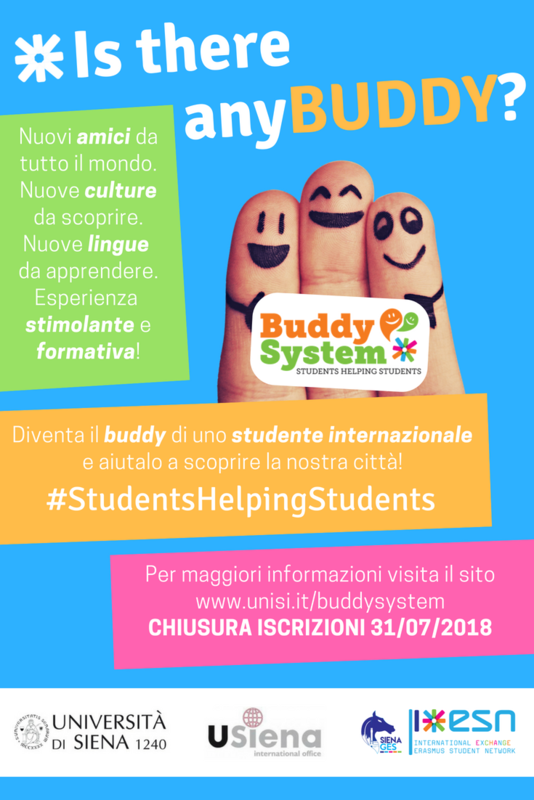 The main purpose of this programme is to assist exchange students with practical information on living and studying in Siena and to facilitate their integration in the Italian academic life and the student community. Exchange students wishing to take part in this programme must fill out this online form by July 31.